A very special project is nearing completion for the children and families of Wichita Collegiate School. 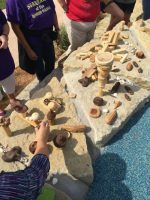 Construction began on May 26th, 2015 to create a beautiful and inspirational outdoor play environment for the youngest children at Wichita Collegiate School. 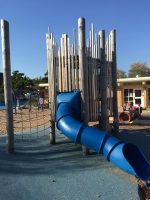 Less than one year ago a committee of parents, teachers, staff and administrators identified a list of playground priorities. Designer and landscape architect, Emmanuel Didier of Fort Collins, Colorado was hired to lead the committee through the design process. Over the course of eight months, through a collaborative exchange of ideas a list of playground needs was transformed into a design concept that won the enthusiastic support of our community. By January of 2015 the Board of Trustees approved the design concept and a short-term fundraising plan was put into motion. By the end of March, the funds were pledged and Simpson Construction Services was on the team. On August 24th the school dedicated the new space at the ice cream social with over 500 patrons in attendance. The new outdoor classroom tells the story of the early childhood experience, the beginning of the academic journey at WCS. The child’s imagination is invoked by nature’s wonder, by connections to literature, Mother Goose elements inspired by annual traditions, and many musical elements. The children will learn the life cycle of plants, animals, seasons and the interconnectedness of the Earth’s ecosystem. 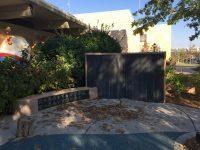 The story of the outdoor space is one of converging paths that intersect in Wichita. Converging rivers, ideas, and people from the earliest settlers to the present. Where pioneers and visionaries have taken residence, built our city, and raised their families. 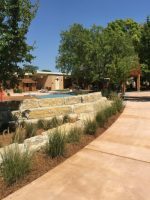 The outdoor classroom includes landscape designed with native plants, including many prairie grasses that flow beautifully in our windy climate. 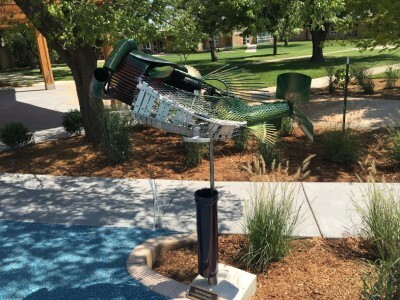 The river flows from west to east with a birds nest growing from the reeds as the feature piece of play equipment. Two living willow huts will be grown from shoots from a Black Willow tree on Webb Road. The Mother Goose elements include Jack and Jill’s Hill, Humpty Dumpty’s storybook corner, the Itsy Bitsy Spider and Row, Row Row Your Boat. 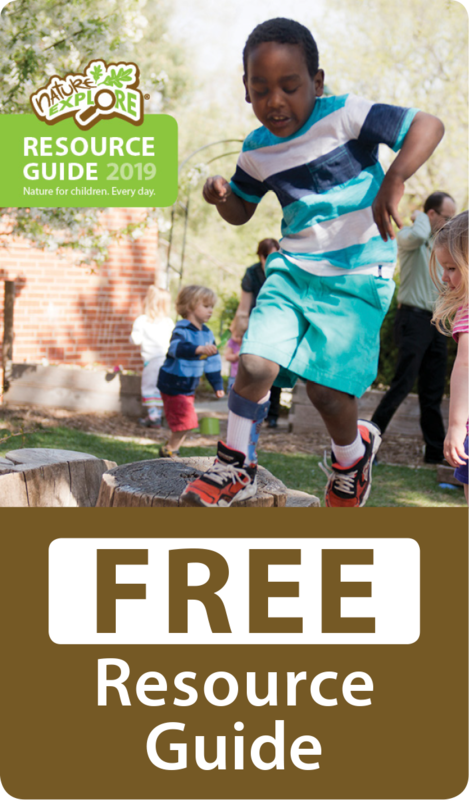 Through active play and quiet moments the children will reap the benefits of time spent in nature thus becoming healthy individuals and caring stewards of the earth. A beautifully crafted pavilion anchors the space to the entire campus. 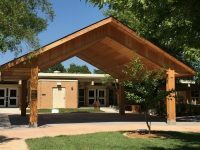 This pavilion will provide the canopy for classes, parent groups and evening concerts. 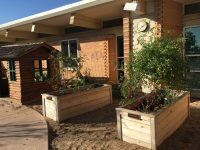 This new outdoor space is a place of wonder and joy with endless opportunities for our children. 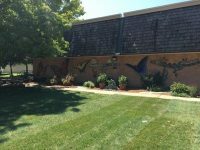 We are honored to have this outdoor classroom for our children.